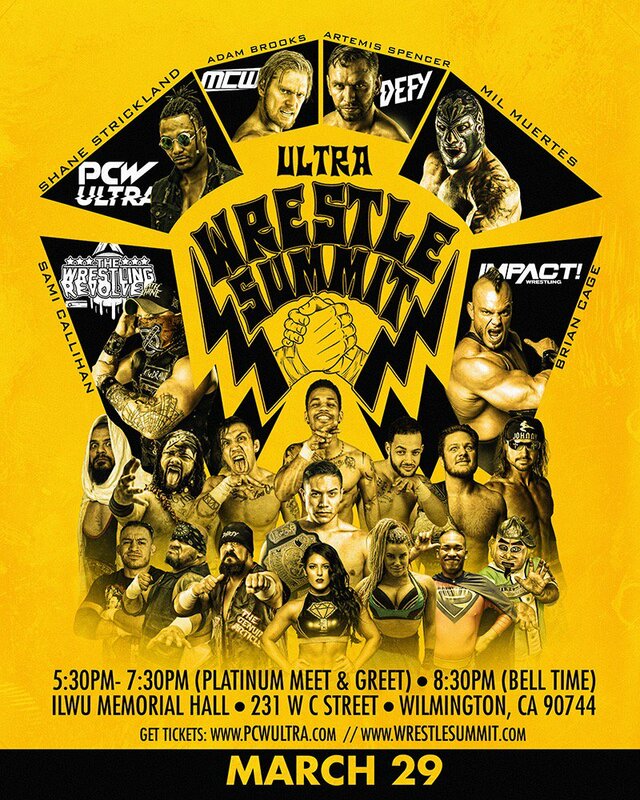 PCW ULTRA | WRESTLE SUMMIT | 3.29.19 | WILMINGTON, CA. ​"WRESTLING REVOLVER OPEN INVITE SCRAMBLE CHAMPIONSHIP MATCH"
"PCW ULTRA/DEFY TAG TEAM CHAMPIONSHIP"
8.) MIL MUERTES (LUCHA UNDERGROUND) defeated Shane Strickland (c) (PCW ULTRA) to become the new PCW ULRA CHAMPION!! !